All of our paper sleeves and Envelopes are manufactured from FSC (Forest Stewardship Council) Certified materials that are certified by the mill. The FSC certification guarantees that the wood is from a certified, well-managed forest. Your purchase of FSC Certified paper contributes to conservation, responsible management and community benefits. Our CD windows are made from Polypropylene – a high quality clear plastic that is durable, non-abrasive and won’t wrinkle. 100% made in the U.S.A. 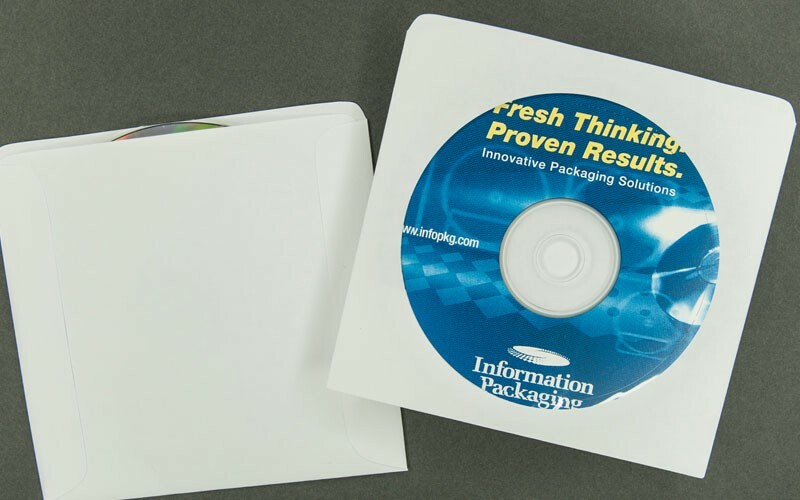 Custom printing is available for all of our Paper CD/DVD sleeves and Envelopes. Please call Information Packaging for more printing information.